“Because 85% of the people who come to know Christ make that decision before the age of 18, the church has to invest in reaching people when they are most reachable.” Doug Clark says our nation is overdue for revival. Today, Lee and Doug discuss the hope for revival, the responsibility of parents to pray for their children, and See You At the Pole. SEE YOU AT THE POLE day is on Wednesday, September 26, at 7:00 a.m. local time. All around the globe, in every time zone, students will be gathering at their flagpoles, praying for their school, friends, families, churches, and communities. SEE YOU AT THE POLE is a day committed to global unity in Christ and prayer for your generation. Also, see CLAIM YOUR CAMPUS a ministry that empowers high school and middle school students to begin praying for change. 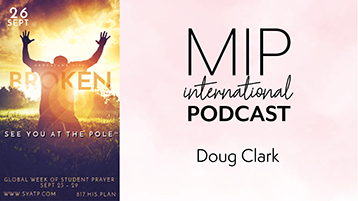 Doug Clark is the National Field Director for the National Network of Youth Ministries (NNYM) and serves as Promotion Coordinator for See You At the Pole. 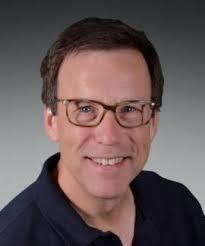 He leads a dynamic team of field leaders who serve more than 500 local networks in 10 regions across the United States. He and his wife, Debbie, live in Southern California and have two grown children. I just wanted to say that I was in one of the first “See You At The Pole” prayers. I was going to school in Anderson, TX at the time then the next year I went to school in Navasota, TX. In 1991 I still went to the pole and prayed. We all stood in a circle around the pole and held hands as we prayed. I’m so glad that there are so many that continue to do this, I even got my daughter involved at her school in WV which is where I live now. I’ve since lost my beautiful “Sweet 16” year old daughter when she and I were hit head on by a semi on 3-26-2013. God is amazing because I couldn’t have gotten through every day since I lost my child without him. I hope that many of our young people continue to accept Jesus into their hearts. I’ve seen amazing things happen at the “See You At The Pole” gatherings. Betty, thank you so much for your comment and your testimony about See You At The Pole. I’m so sorry for the loss of your daughter and for what you are still going through with the head injury. I will pray for you today! May the Lord bless you and keep you Betty. May the Lord make His face shine upon you and be gracious to you. May the Lord lift up His countenance upon you Betty and give you peace. In Jesus’ Name, Amen. Thank you for continuing to share this very important event. God bless you. How do we get this article in an email version please? Hello Gail. Thanks for your comment. This does not come in an email format, however, it is in podcast format and can be shared. The easiest way to share is to go to our Facebook page: https://www.facebook.com/MomsInPrayerInternational/ and see our post about See You at the Pole today. Also on this post, if you click the link above the image, this will take you to the blog and podcast and date of SYATP and other info. Sept 26th is SYATP. God bless you.